The rap sheet for the criminal defendant included a laundry list of petty crimes. There were prior convictions for theft, a case of fraud and a history of violence. 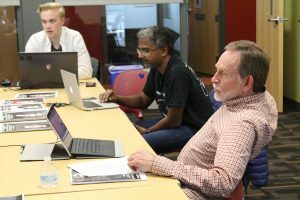 University of Utah Honors College students in Praxis Lab titled When Machines Decide: The Promise and Peril of Living in a Data Driven Society. So when a judge was faced with how to sentence the defendant for a new offense, she turned to technology for help weighing whether the defendant would spend time behind bars or be granted probation. With a click of a button, an algorithm pulled up a recommendation — and the judge used the data to hand down a determination. Scenarios such as this are at the core of a new app designed by University of Utah students that aims to help the community better understand how sentencing determinations may be assisted by using algorithms that consider and analyze mountains of data. The app, Justice.exe, is now available for download on the Apple and the Google Play stores. The game player assumes the role of a judge and sentences 50 convicted criminal defendants to a maximum or minimum sentence, taking into account factors such as prior criminal history, education, marital status, the type of crime and other factors. The game employs machine learning and an algorithm “learns” what is or isn’t important to the player when making a sentencing decision. At the end of the game, the algorithm makes the sentencing decision without any input from the player — and also points out hidden biases of the player — and identifies what factors result in a harsher or more lenient sentence. 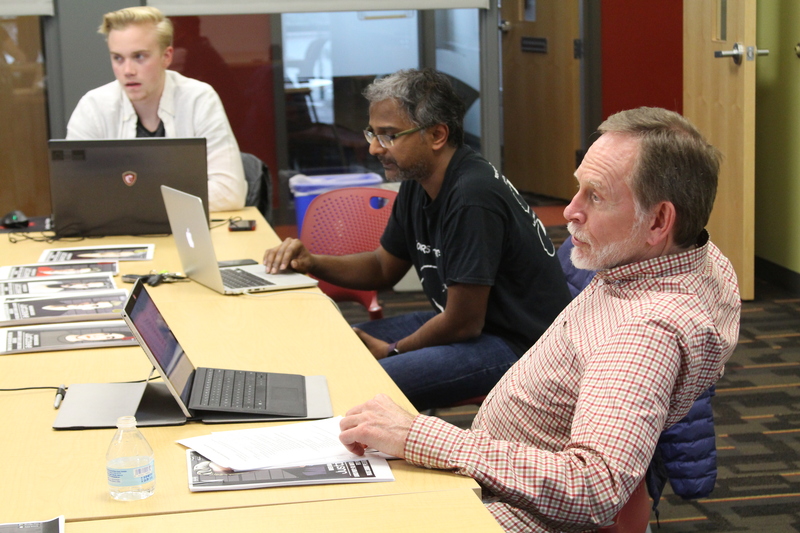 Honors College Praxis Lab student and professors Suresh Venkatasubramanian and Randy Dryer. The project’s development was part of a class offered through the Honors College, titled When Machines Decide: The Promise and Peril of Living in a Data Driven Society. 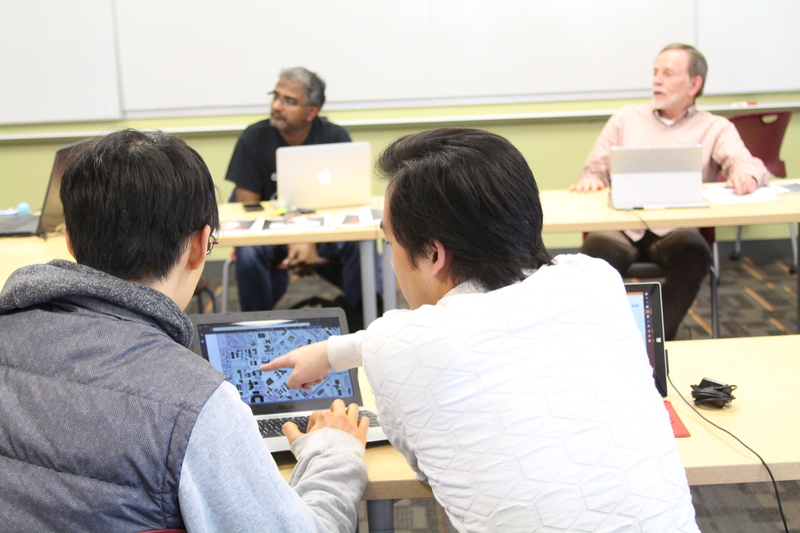 The course, taught by professors Randy Dryer and Suresh Venkatasubramanian, is a part of the Honors College Praxis Labs offerings. During the first semester students focused on researching algorithms, machine learning and their places in today’s society. Students explored what it means to live in a society that generates more than 2.5 quintillion bytes of data every day. The course examined how Big Data technologies — which can improve health and education, enhance economic vitality and make the nation safer and more energy efficient — can also result in challenges. For example, when machines use algorithms and artificial intelligence to supplement human decision-making, fundamental values like privacy and fairness may be at risk. 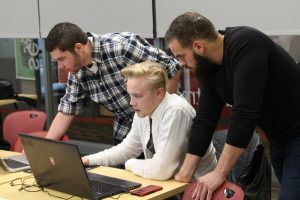 The second part of the course involved creating the app, which students unveiled to the Utah Sentencing Commission at a meeting at the State Capitol on April 5. Students showed policymakers their product and offered a set of guidelines for considering the use of algorithmic decision-making systems and how data can impact the outcome of court decisions. Jennifer Valencia, director of the Sentencing Commission, praised the students and their efforts. The students “gave a terrific presentation and will generate a lot of good policy discussions in the coming months,” she said. The hands-on experience of developing the game was a valuable part of the class, said Austin Anderson, a sophomore. “When you have a normal class, it’s structured. When you get thrown into this [creating a game], there’s a lot of self-learning. You have to find your way and do a lot of critical thinking. You learn a lot faster and quicker,” Anderson said. In addition to developing the game, students and the professors developed a mini-course on algorithms which contains five 50-minute long “lessons” that can be used by college and high school instructors in non-computer science courses. The mini-course includes a teacher’s guide, suggested lecture slides and homework assignments. A hard-bound report and permanent electronic library guide on the subject of algorithmic decision-making systems and how they impact people will also be housed at the Marriott Library as part of the students’ overall project. The library subject guide is available at campusguides.lib.utah.edu. This is a lead text and needs your attention. 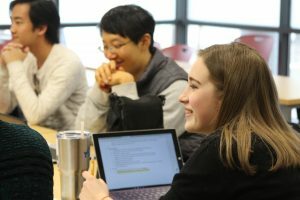 University of Utah students enrolled in Honors College Praxis Lab courses will highlight their projects at an April 18 event. The Praxis Lab Summit will take place at 5 p.m. at the Marriott Honors Residential Community, 250 South Mario Cappechi Drive, Salt Lake City. The event is open to the public.